So you've discovered that it's difficult to give a cat medicine. Your cat is not as oblivious to that pill you sneaked into his food or Pill Pocket treat as you might believe. 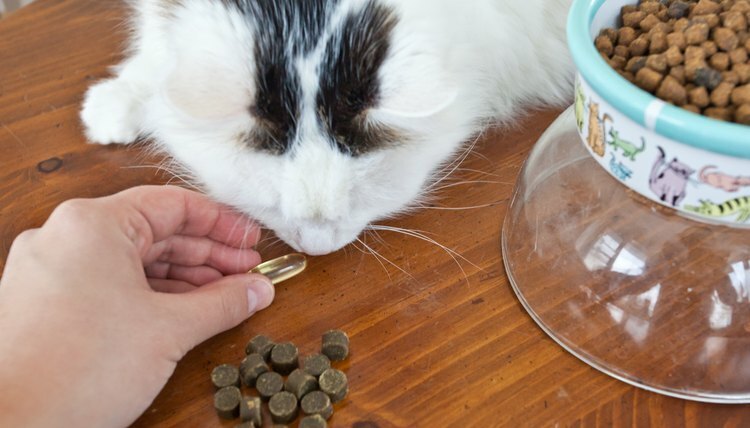 If you struggle to administer pill-form medicines to your cat, try putting it in food or in a Pill Pocket, or learn how to give it by hand the way vets and animal care advocates suggest. You should have your vet's approval before giving your pet any medicine or supplement, and you should follow his instructions rigorously. Always read the dosage instructions thoroughly -- you can give most pills to cats with food, but some must be taken on an empty stomach. Check to make sure how many pills your cats should take per dose, and how often. 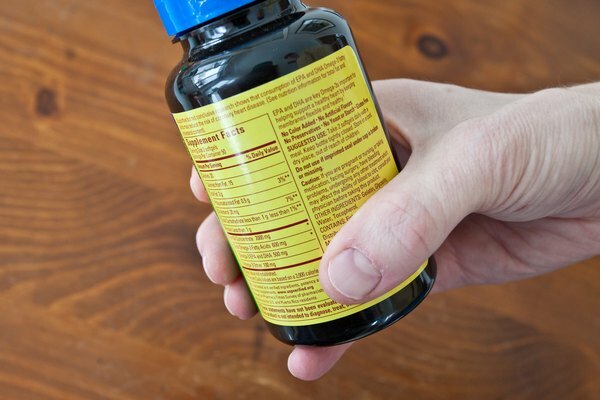 If you are unable to find the correct information on the packaging or prescription label, call your veterinarian. More than one pet products maker markets pill wrappers, cat treats with little pockets that allow you to hide tablets or capsules within. 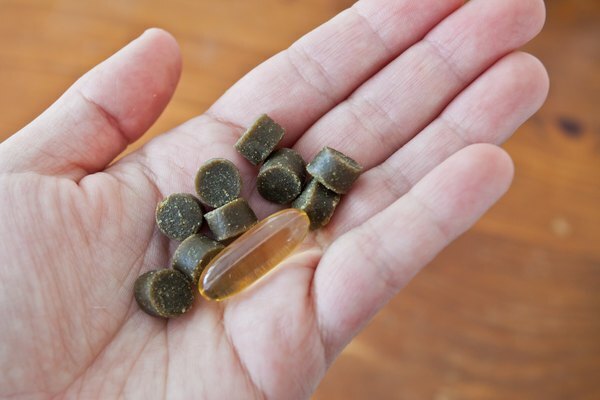 A cat who eats one of these loaded treats ingests the medicine along with the treat. Pill wrap treats come in a variety of flavors, such as chicken, salmon, beef and duck, whose strong aromas entice cats. The problem you may run into using these pill pouch treats is that some cats will learn the treats come with pills inside and may eat just the outer part of the treats but not the pills -- or they may shun the treats altogether. Cat pills are available in both tablet and capsule form. 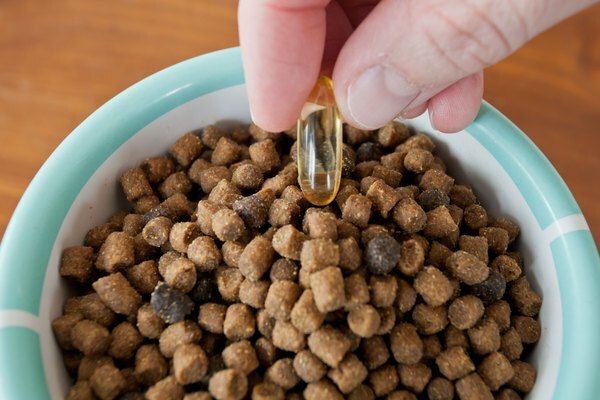 If your cat will not eat pills in pill treats, try crushing the pill or opening the capsule and emptying the pill contents into the cat's moist food. Let the cat go without eating longer than usual, since he might be too busy stuffing his face to notice the medicine. Try using a seafood flavor of wet cat food, as the fishy smell tends to hide any smell the cat pill. Give only a small amount of wet cat food to start with, and mix the crushed pill or the capsule's powder contents in with the wet food thoroughly. Cat still says no? Try real tuna packed in oil instead of wet cat food. Canned tuna in oil has a stronger fish odor than wet cat food. If all else fails, you can administer pills to your cat the old-fashioned way. Doctors Foster and Smith, the ASPCA and other authorities advocate a calm, cautious technique. Take the cat to a quiet space he likes and sit with him on the floor or on your bed. Have cat treats ready to give to him right after you get him to take his pill. Wrap a towel securely around your cat so you can only see his head and face. In doing this, you are securing his front and back legs to protect against scratches while you administer the pill. Open the cat's mouth and gently push the pill toward the back of his throat. Close the cat's mouth quickly and hold it shut for a few seconds. Massage the cat's throat to encourage him to swallow the pill. Once your cat has swallowed the pill, unwrap him from the towel and reward him with his favorite cat treats. Catster: What's the Best Way to Give a Cat a Pill?